Shelter 2 Has A Release Date! 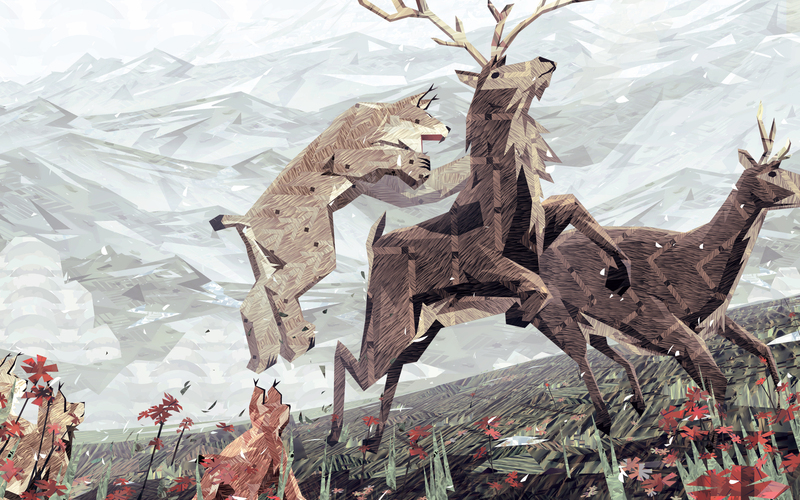 Good news from Stockholm-based game developers Might And Delight—Shelter 2 officially has a release date! That’s right, on March 9th, 2015 you will be able to take on the role of a mother lynx as she bears, rears, and protects her family of adorable baby lynxes (lynxlings?) from predators, starvation, and just generally the world at large. Preorders will begin on the 25th of February, and the perks that go with it are a free copy of the Retro Family-penned soundtrack, and the chance to play with a unique skin based on the Iberian Lynx. Now, I know that the amount of time I spent pounding my tear-soaked face while chanting “I’m a horrible mother” over and over again might suggest otherwise, but Might And Delight’s unique franchise has really harnessed something special–something worth playing more than once. Interestingly enough, the Shelter series is the first time I’ve ever seen motherhood used as a gameplay mechanic, so that in and of itself makes it worth a look. I had a wonderful time with the first Shelter. The art design, the soundtrack, the simple grace of the gameplay mechanics: it all made for a blissful, if short, experience. So I’m looking forward to seeing how this second iteration holds up.